2018-2019 Ambassadors After a great day with the LVC Tour Guides! 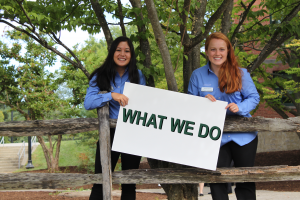 College Ambassador Blog: New Posts Every Thursday! 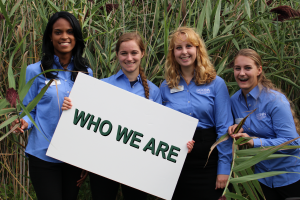 College Ambassadors are undergraduates in UConn's College of Agriculture, Health and Natural Resources (CAHNR) and the Ratcliffe Hicks School of Agriculture (RHSA), who serve as leaders and representatives. Learn more about the mission, who the current Ambassadors are, and who advises this leadership group. Ambassadors serve as the face of CAHNR and RHSA. They help run programs on- and off-campus, and get to meet prospective students and families, current UConn students, and alums. They also receive leadership training and professional development from faculty and staff. Check out the photo gallery! 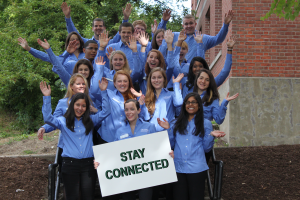 There are many ways you can connect with College Ambassadors, whether you are a current or prospective student. Join them on Facebook, Twitter, and Flickr. Ambassadors also post about their experiences in a weekly blog! Interested in becoming an Ambassador? Apply online or email any questions.